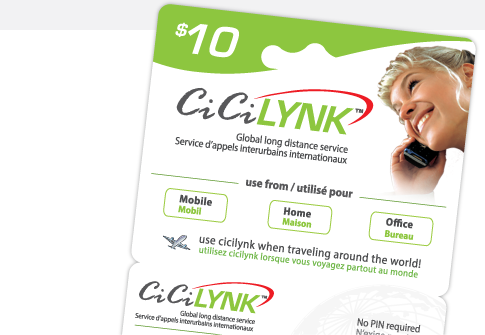 CiCiLYNK can be used from over 75 countries worldwide by dialing an international access number, entering your PIN & destination number! CiCiLYNK allows you to activate up to 8 telephone numbers within only one account & offers only ONE PIN number when using your service from somewhere other than your activated line(s). Find our recharge cards at a participating retailer near you!